Streeterville is home to some of the tallest high-rise condo buildings in Chicago. Residents here enjoy an active nightlife scene with House of Blues and other great venues. During the day you can catch a water taxi to the Navy Pier or stroll over to neighboring Gold Coast for great Mag Mile shopping. Living in Streeterville truly puts you in the center of all that Chicago has to offer. 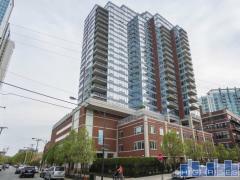 We've listed out all the Streeterville condos currently for sale below. If you see one you'd like to tour, or if you have any questions feel free to contact us at 773-365-9270. How can we help you with Streeterville Condos?